Ladies and gentleman, the next president of the United States, Donald Trump! 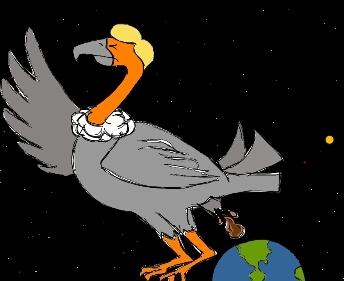 President TrumpTurkey shows what he will do to the country. 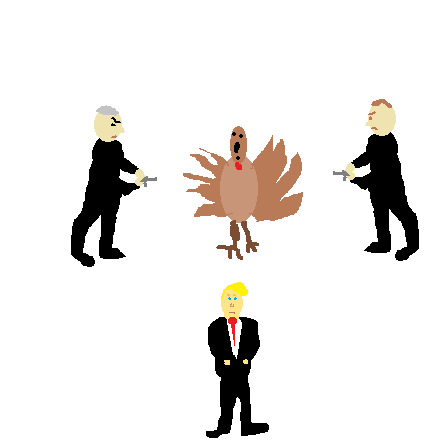 Secret Service replaced President Trump with a turkey. No one noticed. 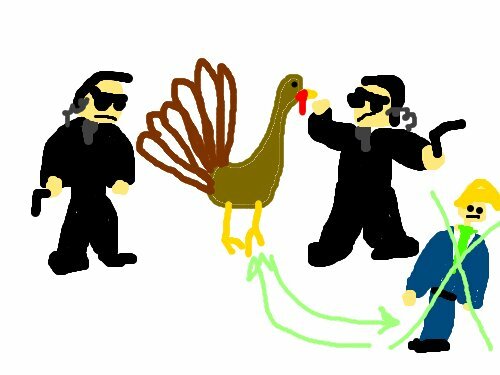 The secret service arrested Terrorist Turkey for trying to attack President Trump. Even farm animals are out to get him! Two men with water pistols hunt a chocolate turkey whilst a man with a red goatee hides his hands in his pockets. I've been trying to invite people to this site and get this game not so dead.